Twitter continues its (belated) efforts to battle online harassment, adding new muting powers to its arsenal. After giving its users the ability to mute whole conversations they don’t want to participate in (but are probably berated in), Twitter has announced it will now let them mute specific words—including usernames—from their timelines, and not just their notifications. 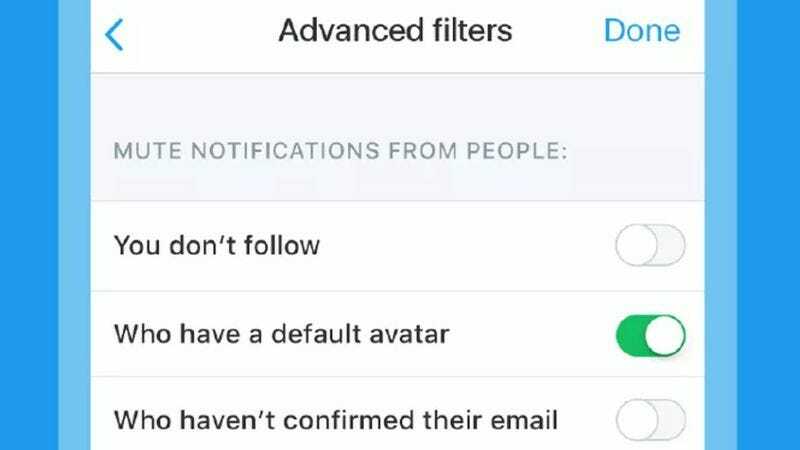 That’s not half bad, but wait, there’s more: as of this week, Twitter users will also be able to preemptively mute the dread egg army, i.e., accounts that have a default avatar.